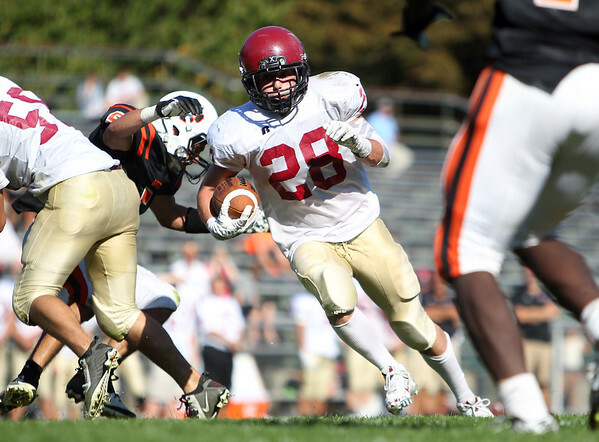 Gloucester senior Mike Decaro (28) bursts into the open field against Beverly during the fourth quarter of play. The Fishermen fell to the Panthers 30-16 in NEC action on Saturday morning. DAVID LE/Staff photo. 9/27/14.